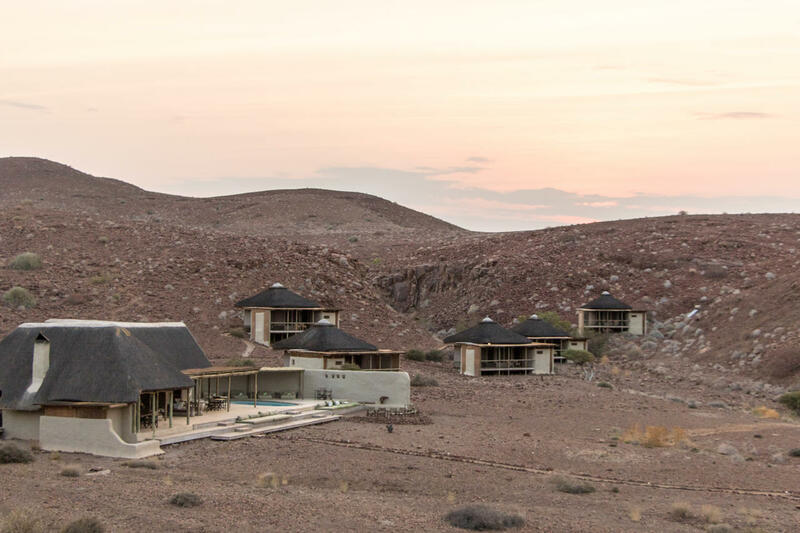 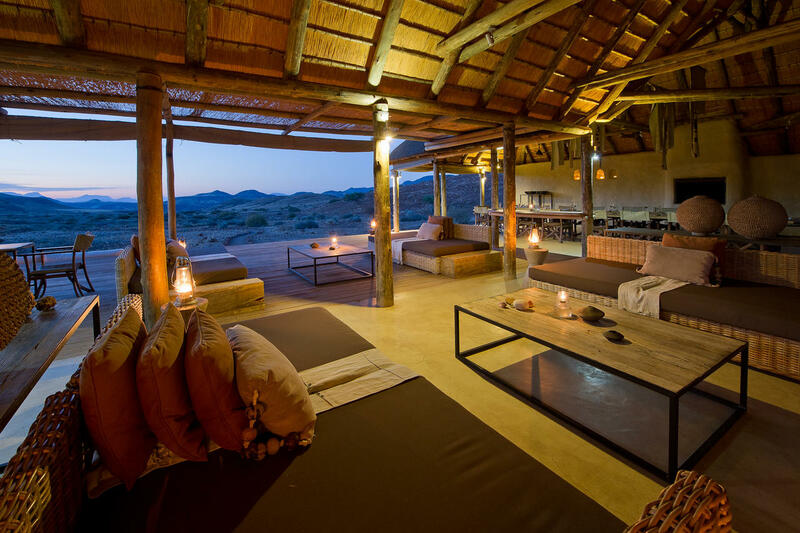 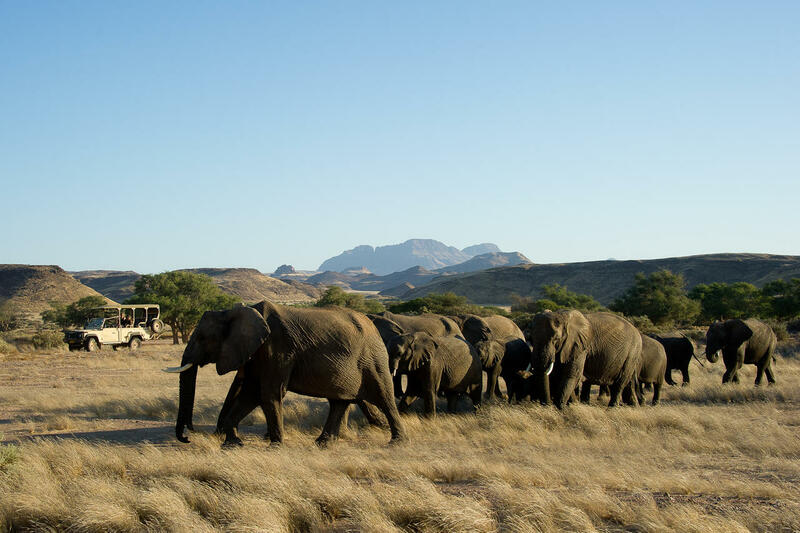 Damaraland Camp offers eco-friendly accommodation and amazing desert views in Namibia’s remote Torra Conservancy, an area renowned for its population of desert dwelling elephants. 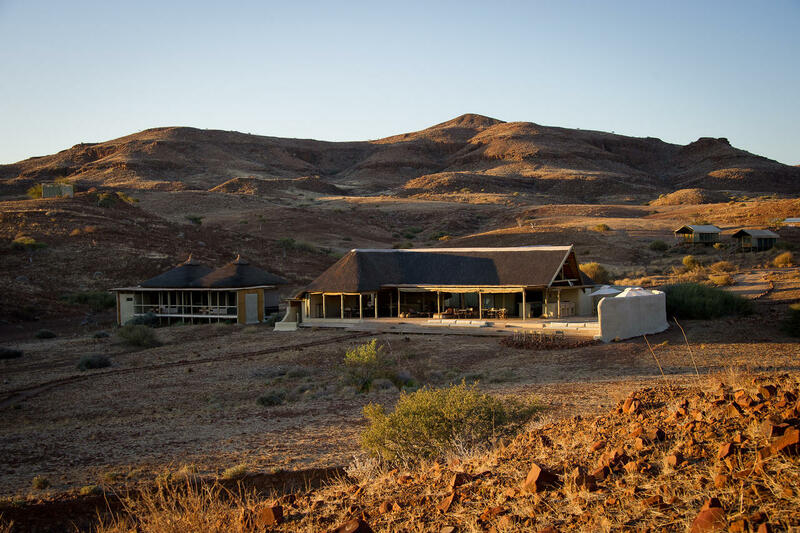 Combining ancient and contemporary techniques in its design, Damaraland Camp offers accommodation that is both luxurious and environmentally friendly. 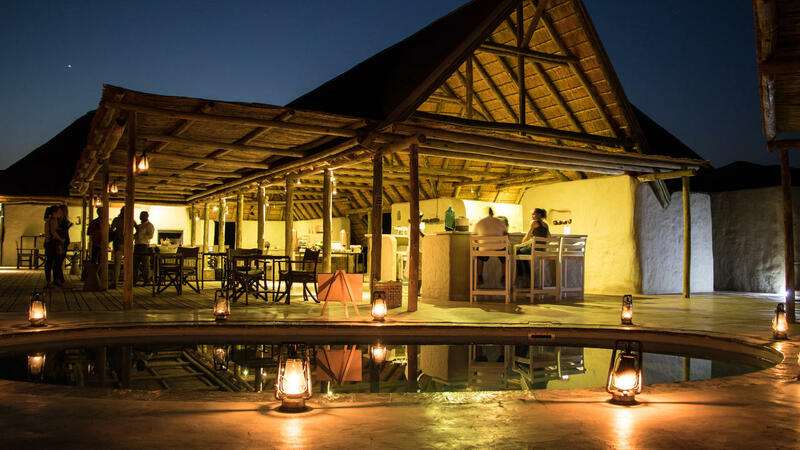 Each tent has ensuite facilities and a private deck, whilst the thatched living area with its bar and swimming pool is a superb place to relax in between activities. 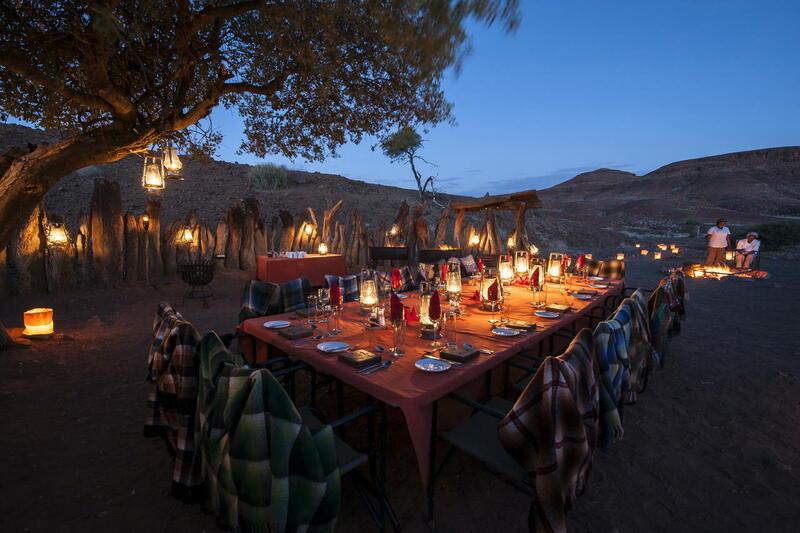 In the evenings, you can unwind in the outdoor ‘boma’ area around a crackling campfire, listening to the sounds of the wilderness and watching the starry night sky. 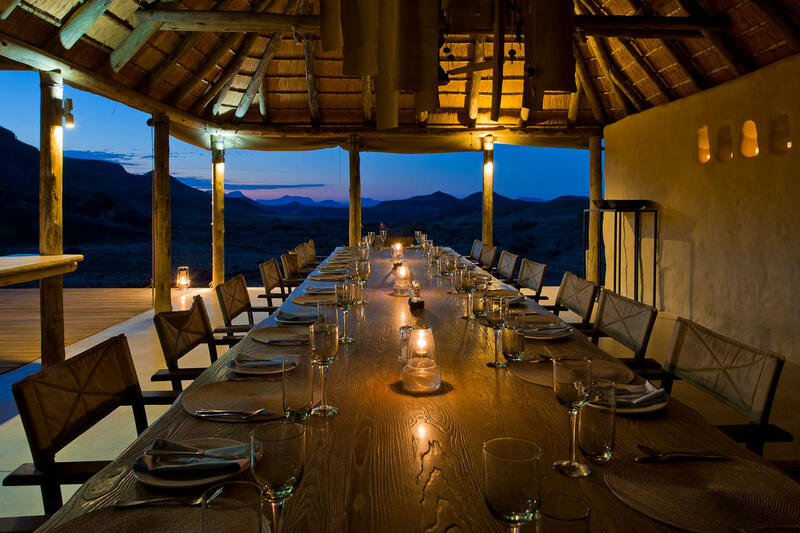 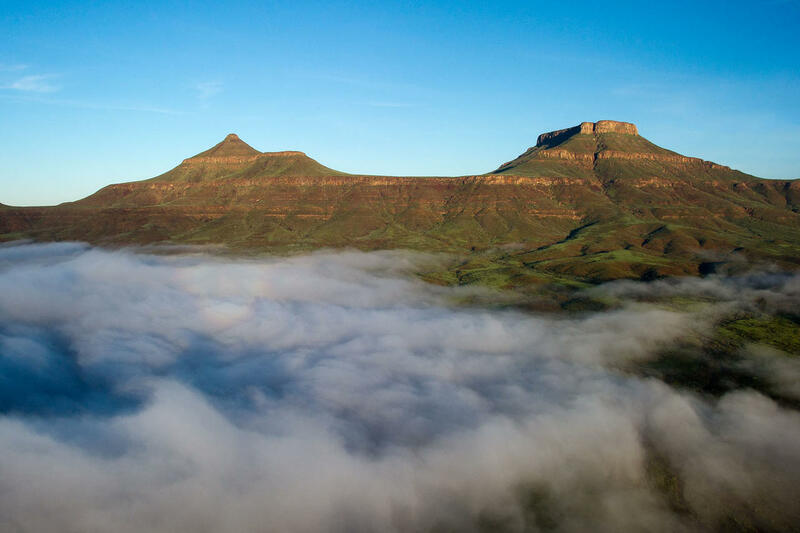 Activities at camp include day and night game drives in the Huab River Valley – a chance to spot desert-adapted elephant, springbok, gemsbok and the occasional lion – plus guided mountain hikes. 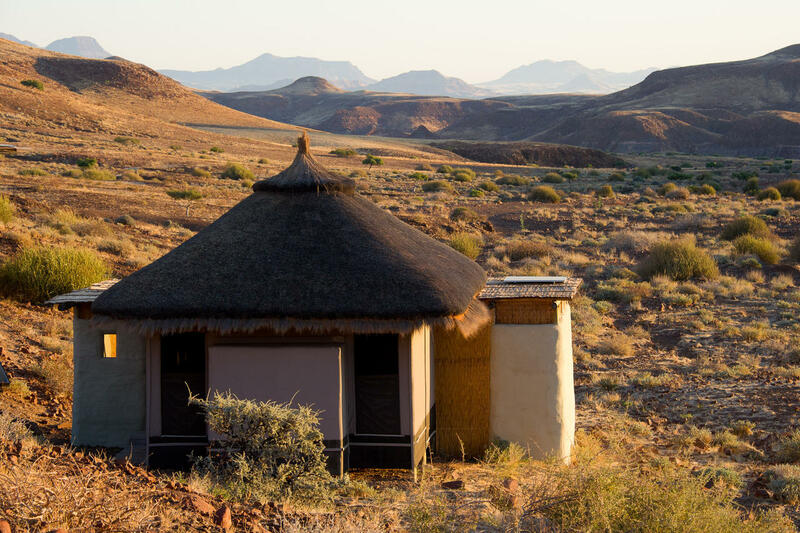 Birding is also a rewarding experience with over 240 recorded species in the area, whilst cultural visits provide a fascinating insight into the heritage of the local people. 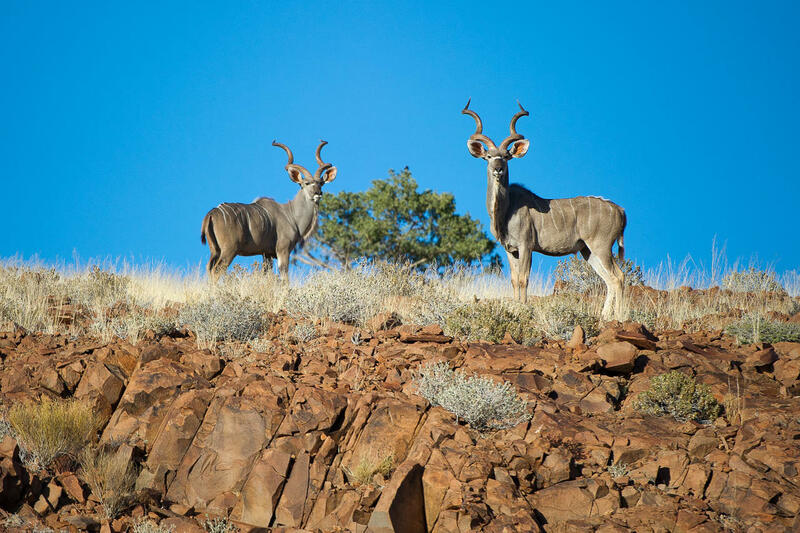 Expert guides can even take you on excursions to see the region’s ancient rock art and unique geological formations.